For the past month I have been taking part in an online gardening course at MyGardenSchool. Every one I have mentioned this too has exclaimed, 'how can you do gardening online?' Actually it has been more useful and informative than I had ever imagined. You are part of an online classroom, with other like minded individuals keen to learn a new skill or improve their knowledge. There is a choice of 25 courses to choose from, I was enrolled in Alex Mitchell's the Edible Gardening Made Easy course. Alex is a published author with 10 years experience growing vegetables. You may have read my recent post where I talked about the type of soil I have in my garden. 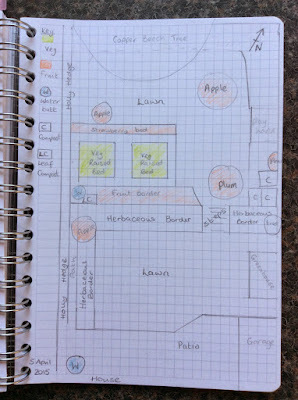 This was homework from week one of the Edible Gardening Made Easy course - Get Your Garden into Gear. Yes that's right, just like any school you will have weekly homework to complete. But do not worry it is not difficult or overly taxing. You are given all the information and knowledge in the weekly course video and course notes, to help you with your assignment. You will not be spending hours at the computer, the assignments are of a practical nature such as analysing your soil. If you have any queries your online tutor will respond to your questions, you can upload these to your virtual classroom. Alex gave me some advice as to whether I should use some pigeon manure in the garden which a friend had kindly been offered to me. Full guidance on how to upload your homework including adding photographs are clearly explained. the downloadable course notes, I was on holiday during week 3, but I was still able to download the course notes to my tablet. So after an enjoyable but tiring day visiting the Gardens of Heligan, I returned to my hotel with my feet up and cool drink to hand reading the course notes. It is a no pressure environment, a relaxed and pleasant way to learn something new. I would of liked some of the other pupils to have engaged more in the virtual classroom. As a blogger and user of social media I am used to engaging and holding discussions with people. But I guess that just depends on your other classmates and how comfortable they are using the virtual group. Our tutor Alex encouraged people to read and comment but I guess not everyone was willing or comfortable in doing so. 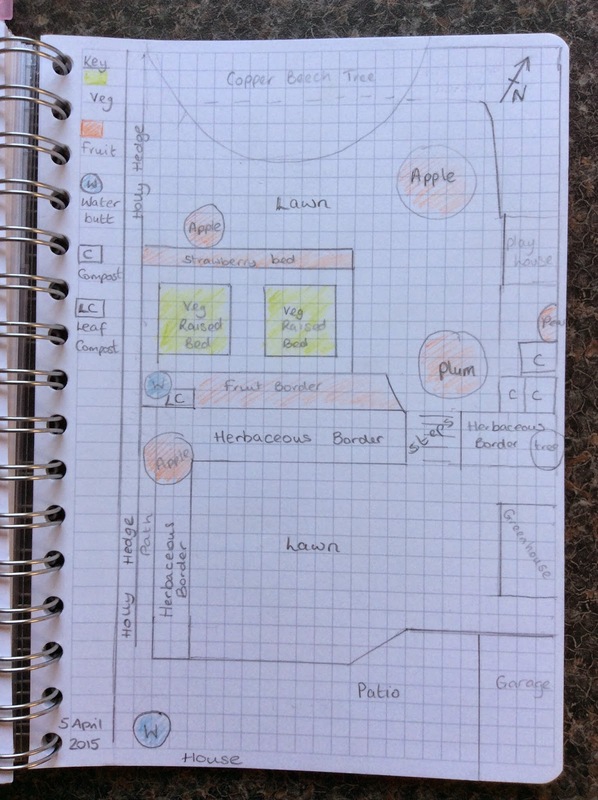 a total novice vegetable grower, or like myself someone with a few years experience. I learnt something new in every lesson, as a result I adjusted my plan in my raised beds and moved some suggested shade tolerant herb plants around. for someone who wants to learn but without the pressure. all interests of gardening they have courses from garden design, landscaping to specialising in specific plants eg Roses. Course levels range hobbyist, enthusiast and advanced and start at £120. 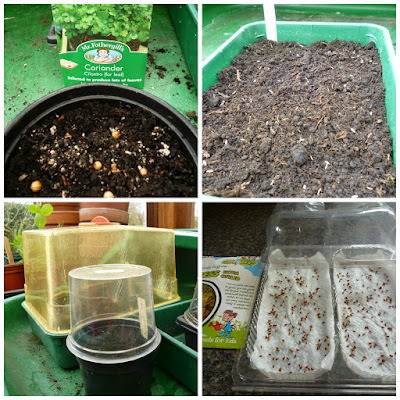 The Edible Gardening Made Easy lasted for 4 weeks and cost £140. Disclosure: I received a subscription to Edible Gardening Made Easy for the purposes of this review.